Successfully establishing energy security under the new National Energy Guarantee will all hinge on getting the details right, say industry experts. The Australian Government needs to address other areas of Australia’s energy mix, including gas and liquid fuel, and provide more details of implementation and targets if its National Energy Guarantee (NEG) has any chance of being effective at protecting the nation’s energy security, according to Engineers Australia Energy Security Spokesperson Neil Greet. The government will scrap the Finkel Review’s Clean Energy Target (CET) in favour of the NEG, which requires energy retailers to reduce greenhouse gas emissions to meet Australia’s Paris Agreement target of 26 to 28 per cent below 2005 levels by 2030. “The NEG is a good step forward in ensuring reliability in the electricity market as a subset of the country’s energy needs. The devil is in the detail on how it will deliver,” said Greet. The NEG, described as a ‘thought bubble’ by shadow energy spokesman Mark Butler, was based on a concept articulated in an eight-page letter from the Energy Security Board, which was formed in August to effect one of the recommendations of the Finkel Review. It includes two guarantees to be delivered by energy retailers: a reliability guarantee, which requires contracts between dispatchable generators and electricity retailers or large users; and an emissions guarantee, which limits retailers and high users to a certain average emissions level. Dropping the CET has been described by the Clean Energy Council as a lost opportunity to lock in the long-term bipartisan energy policy needed to encourage investment in renewables, improve system reliability and push down prices. Greet disagreed, stating that the NEG at least links climate policy and energy security targets, which is an improvement on the government’s 2015 Energy White Paper, which omitted any reference to climate change. 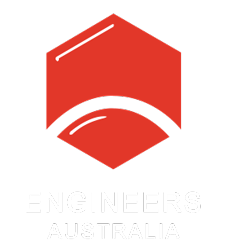 In a Public Affairs Note released by Engineers Australia in response to the announcement of the NEG, Electrical College Chair Mark Lendich stated that the policy can be seen as a potential solution to the “ferocious” energy policy debates over the past decade. Greet expressed doubt about whether the NEG would sufficiently reduce the energy sector’s greenhouse emissions to meet Australia’s agreed Paris Agreement target. “Because the emissions are a mix of gas, liquid fuel and electricity, it’s unclear how the mix will occur and how the government will drive electricity emissions to meet our overall Paris target,” he said. Energy Minister Josh Frydenberg claimed that the NEG will cut household energy bills by an average of $115 per year in the decade following 2020. Greet said that Minister Frydenberg has admitted that the modelling hasn’t been done, and this is an initial estimate to support the NEG announcement. “This goes to the heart of the political issue. We can expect to see a lot more debate about cost savings,” he said. Also announced was the government’s plan to drop the Renewable Energy Target (RET) after 2030. The renewable energy sector suffered significant job losses during year-long political debate about whether to reduce the RET from the original 41,000 GWh of electricity to 33,000. An agreement was reached in mid-2015. According to Greet, the NEG falls short of providing the needed certainty to drive growth in the renewable energy sector. The full details of the NEG and how it will be applied need to be revealed to gain perspective on its impacts, including attention to future shifts in energy usage.